Fathers play a very important role in every child's life and a family. Being a good father requires a lot of efforts, which need a father focus on the children's needs, give them all of his love and support them whatever happens. 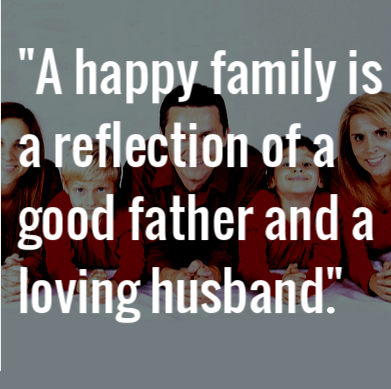 Here are some good father quotes to remind you how important it is to be a good father. Being a father is the most important and interesting job. Good fathers always think about what his children need. The biggest challenge is to be a good father. There’s always a way to fix someone else’s mistake. This is what fathers really want to achieve. A nice person makes a nice father. To be a good father means to make hard choices. You can’t learn to be a good father in one day. Try to be that kind of father. 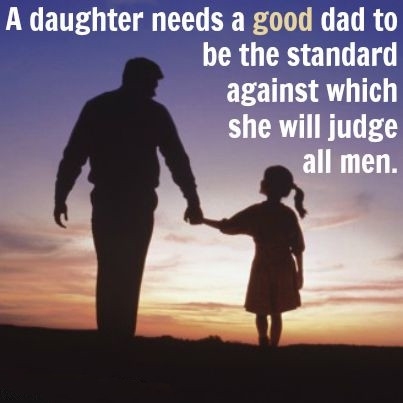 Good fathers are the standard of their daughter's boyfriend. Being a good father is a great pride and happiness. Kind and loving father’s heart is nature’s best creation. A happy family needs a good father. Our fathers teach us to live with dignity. Every father is a role model. A good father will always be there with his children. A good father isn’t always a wealthy one. Here’s a simple recipe for being a great father. Don't underestimate what a good father does. A grown man with a kind heart – that’s a good father. Good fathers make you feel like you’re behind a rock mountain. Every father is a good father if he loves his children. Successful is easy: be a good father first. Some of our good father quotes tell us this important feature: focus on children's needs. A good father is able to give you everything he has.